This is a sneak preview of Bizantium and the Northern Islands™, for the Palladium Fantasy RPG®. This preview includes the front cover, credits, contents, a map of the known world, an overview of the Kingdom of Bizantium, Bizantium's origins, other places of note, the complete Sea Ghoul, the description of the Selkie, and the description and some stats for the Iceborn. 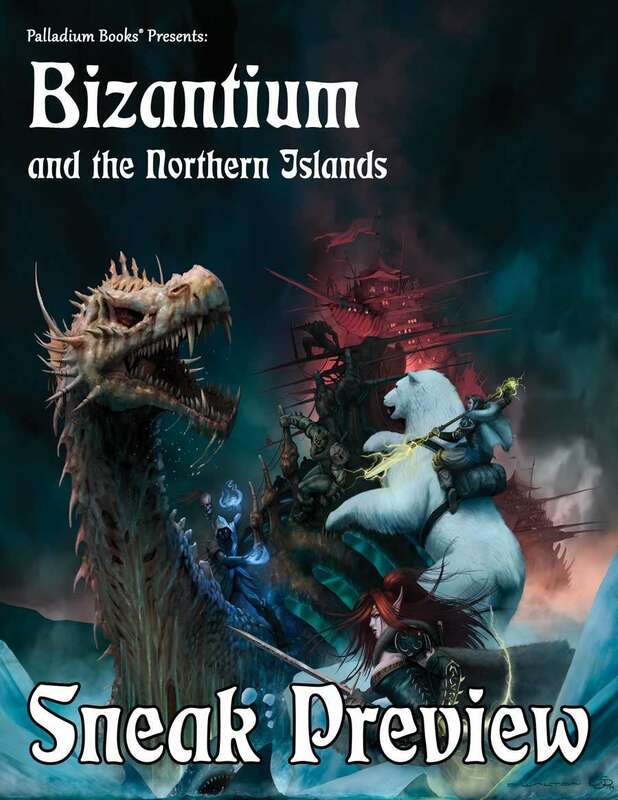 Bizantium and the Northern Islands™ will be available March 25, 2015, direct from Palladium Books and in game stores everywhere. For more information, visit www.palladiumbooks.com.